We manufacturer a wide range of Polypropylene(PP), PVC, HIPs, PET, ABS trays to our clients. Available in varied specification, our array is appreciated for elegant design, excellent finish and long service life. 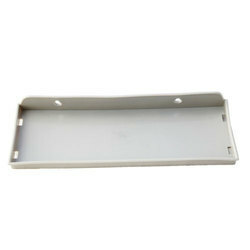 We possess an extensive collection of Victor Tray which can be purchased in diverse sizes and attractive colors. The special quality plastic material used to manufacture this range helps in enhancing the durability of the product. Our clients can avail from us customized solutions for this range as per their application requirements at leading industry prices. 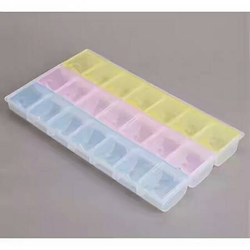 We are counted amongst reckoned names in the industry, committed towards offering a wide gamut of Plastic Tray. - Generally used for serving food. We are assisted by a crew of experienced personnel, who are enormously indulged in bringing forth Plastic Tray. The Biscuit Trays industry in India is one of the largest consumers of pvc/hips/pet trays. We are proud to be the leading suppliers with the highest volumes and quality product. We understand the importance of food packaging and at our plant we have set up a clean room to cater to this industry.